We’ve all heard that ‘change is the only constant’, but one reason change is so unrelenting is that we’re not very good at it. All too often organisations forget about the human aspect of change and people fail to get behind change initiatives. It’s why 70% of organisational change fails, according to McKinsey. As leaders and managers, it therefore falls to us to ensure that our teams and organisations are prepared to navigate change. But igniting action in others is easier said than done: People’s focus is likely to be their day-to-day priorities, as opposed to thinking about what’s around the corner. If we want to successfully bring about change it’s critical we wake a sense of urgency in our people and help them to move from understanding to action. Creating a sense of urgency means alerting people across our organisations and teams that change must occur. It’s about sparking that initial motivation to get our change plan going. Crucially though, urgency is not about generating panic and anxiety in our organisations. Rather, it’s about establishing a common goal and creating a spirited and engaged environment in which team members collaborate to embed new ways of working. Spell out the consequences of inertia: While change and adaptability is vital for long-term survival, most people are hardwired to resist. And if they are unaware of the threats, embedding a meaningful transformation is all the more difficult. It’s vital we outline the impending risks to our people if we are to wake up their sense of urgency. Map out the road ahead: Disruption to the norm is never easy to handle, but it can be deeply uncomfortable for some. If are to avoid denial and avoidance that the fear of the unknown will provoke we need to map out the road ahead. Providing a roadmap of manageable steps can help people break down a formidable problem and move forwards. Encourage and support, don't nag: Checking-in can easily become a dreaded experience for people when change is challenging. Keep update sessions light and energised, and be sure to listen and respond to what’s going on for people. Knowing how to successfully navigate change is a key skill for leaders and managers in the 21st century. With this in mind, our next Breakfast of Change, Human’s v Change, is designed to explore the drivers of effective change. Come and join us to explore how to turn resistance into commitment. Frankl's challenge is one that we face every day, but it isn't always easy to do. Our brains are hardwired to resist change. We naturally prefer the comfort blanket of the familiar as opposed to the strange, scratchy, brave new world. At Agents of Change our mission is to work with the grain of human nature to help people to face the challenge of change head on. By understanding how the brain handles change we can address core human needs to turn resistance into commitment, for ourselves and for others. We need to recognise that for each of us, change is a choice. How much we embrace that choice depends on the resources we have to support us. At Agents of Change we focus on ensuring 4 key elements are in place to ensure people are able to choose change easily. Purpose – We need to know where we're going, and crucially, why. To paraphrase Nietzsche, "Given enough why, people will do any amount of what." What's the narrative for change? Why should that matter to me? Inclusion – We don't resist change, we resist change being done to us - we need to be involved in the process. Change challenges our sense of security on a very human level; it is after all about stepping out of our comfort zones to enter a brave new world of the unknown. Mindset – Helping people build a mindset that is adaptable and open to change is fundamental to creating a culture where change is welcomed. Practice – Sustainable change only comes through the formation of habit. By ensuring there is ample opportunity, encouragement and support to practice and integrate, ideas become action become culture. Our next Breakfast of Change will explore how to successfully navigate the human side of change. Come and join us. In a world where screen time is rapidly replacing you-me time, the need for transparent human-to-human connections has never been greater. But expressing our honest feelings is not always easy. We’ve probably all experienced times when we don’t feel comfortable speaking up, sharing what’s really going on for us. For one reason or another, we find ourselves stifling our voice and letting those around us lead the conversation. Whether we like it or not, how we use (or fail to use) our voice determines how others experience us – our colleagues and leaders interpret our personality and 'fit' through what we say, or don’t say. So if our voice is the lens through which the value we bring to an organisation is judged, when we don’t use it, when we stay silent instead of contributing, people will interpret this in any number of negative ways: maybe we simply don’t care; maybe our priorities lie elsewhere; maybe we don’t have the courage to stand up for our convictions. What we’re not doing is leading by example. Or at least by a very good example. By inhibiting our own voice we're subliminally telling others that they should follow suit, unwittingly creating a culture where people talk about others people, but not to them. But getting our voice heard is not just about how others perceive us. Suppressing our voice and playing small, whether out of fear of being shot down or rocking the boat, will only serve to make us invisible, knocking our confidence and self-worth. What’s the impact? Instead of living a purposeful life — instead of being agents of change — we become victims, at the mercy of others. So how can you ensure your voice is ready and waiting when it's needed? Within days, millions of ordinary people — as well as celebrities and public figures — were empowered to speak out. And from that act of speaking out a movement was born, one that has now spawned to become a rallying cry against sexual harassment. It pulled focus onto the behaviour of some of the world’s most powerful men, from Hollywood to politics, and with it changing society and our conversations around sexual harassment for good. So if we think about our voice, there is no better demonstration of the power of speaking out and speaking up than #MeToo. Of the many important lessons the #MeToo movement has taught us, one is the authority of our voice when we let it be heard. Whether we are seeking justice, or even simply thinking about our place within our organisations, we should never underestimate it. And more often than not, when we open up and express our thoughts we realise that instead of being an island, others share our views, opinions, and experiences. Many organisations roll out the cliché that 'our people are our greatest asset', but how many of them really maximise the potential of those assets? In today’s business world, success depends on harnessing human potential. With research showing that highly engaged employees typically generate 43% more revenue it’s little wonder that improving engagement is a top priority for organisations. A vital lever for achieving this, and one that is often under utilised, is by tapping into the power of employee voice. As employees, we need to feel recognised, like our voices are heard, and that they can make a difference. To do that we need to feel safe, so we need cultures founded on trust and transparency. But too often that trust is missing, so we keep mum, afraid to put our heads over the parapet for fear of encountering a ricocheting bullet. Successful organisations know how important it is to tap into the voice of their employees, contributing to innovation, productivity and output improvements, so they ensure there are effective mechanisms to communicate up, down and across – and ensure people feel safe to use them. Those that don't create cultures of trust and openness not only invite employees to disengage, they waste valuable resources seeking competitive advantage elsewhere while ignoring the reservoir of untapped ideas at their feet. What that means for us, as leaders of organisations and teams, is that we have a responsibility to cultivate a culture of cross-communication, where employees feel like they can share their thoughts, ideas and worries, and know that they are heard. To do that we need to lead by example, of course, ensuring we offer our voice whenever and wherever it's needed, and create the forum for others to do the same. And we need to encourage colleagues to find and use their voices at work. For some of us, speaking up is easier than others. On January 17th we’re running a breakfast workshop focused on helping people to find their voice and put it to work. Come and join us, or forward this to a colleague. It’ll give you a taste of what we do to support organisations such as Clear Channel, ITV and Coca-Cola, and you’ll leave with ideas and inspiration to create change in your corner of the world. In our rapidly evolving cultures, where emergent technologies are constantly shifting the needle, there are very few anchors that remain the same for very long. And with so many variables we can’t control, it’s essential we double down on those things we can. 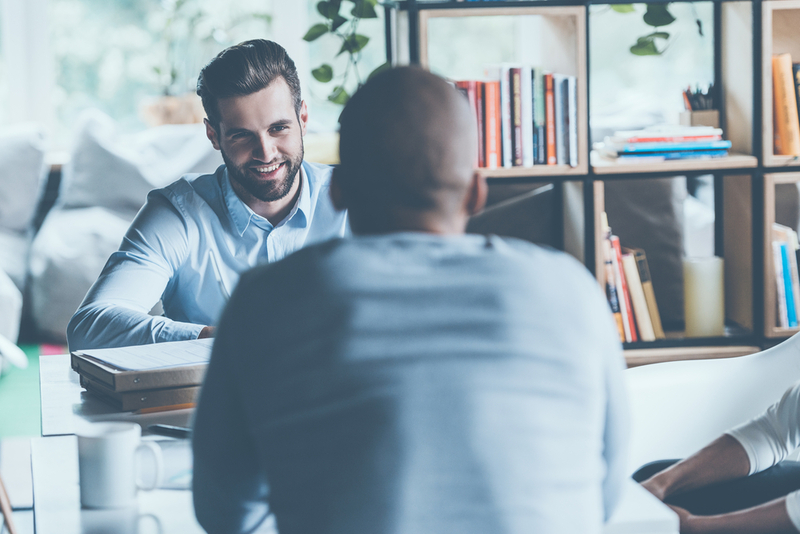 By putting people first, by really listening, we can gain a competitive advantage that will differentiate us from the crowd, and enable us to better engage and retain employees, become more productive, and ultimately boost the bottom line. Reserve your spot for the Breakfast of Change here. It's doubtful many of us wake up saying “I hope my voice goes unheard today” but still we can find ourselves lost for words at times, kicking ourselves for staying silent when we should have spoken up. At one time or another we’ve all found ourselves stifling our own opinions, whether that’s because we lack confidence or because we’ve shared our thoughts before and been shot down by louder voices. But what's the cost? Hanging back and observing as everyone else speaks and shares ideas will make us feel like we have nothing useful to contribute, ebbing away at our self-confidence. Instead of playing an active role in defining our own work life, we end up at the mercy of other people’s decisions, making us feel like a victim. Whether we’re negotiating a raise, in a meeting with senior management, or simply sharing our ideas with the team, making our voice heard is one of the most critical parts of project confidence. No matter what our role is, at some point in time we need to speak up, especially if we want to get ahead in our careers - it’s the single biggest thing that will get us noticed by senior management. It will also do wonders for our motivation and productivity. There is a direct line between how much I feel my voice matters and how happy and engaged I feel – when we share our thoughts and ideas it’s that much easier to see how our contribution impacts the collective team effort. But it’s not always easy. Sometimes life in the shadows feels more appealing than living out loud. Sometimes we prefer to play small for fear of rocking the boat. And that’s fine, if our goal to make ourselves invisible. But to occupy the space that the universe intended for us, we have a responsibility to speak up. At our next Breakfast of Change we’ll be exploring how to uncover your voice, build your confidence and use it to affect change. So if you want to allow your ideas to be heard and your talent to shine, make sure you join us – tickets are available here. Work takes up a lot of our time — it’s little surprise then that more and more of us are on a quest to find work with a purpose, a job that fulfils us. For employers, this means that salaries no longer reign supreme. In fact, studies have shown time and again that it’s meaningful work, not salary, which is the core driver of employee engagement, across virtually every major industry and global region. In his book “Drive: The Surprising Truth About What Motivates Us”, Daniel Pink explains the source of this need to find fulfilment comes from a profound human need to direct our lives, do something valuable in the world, learn, and create new things. But, what makes a job meaningful? What counts as meaningful work will vary from person to person, but whether we’re CEOs, team leaders, or admin assistants there’s purpose to be found in every job. At its core meaningful work is all about how we relate to the work we do. It’s about how worthwhile we think those hours we spend at work are, the sense of accomplishment we get from collaborating with others, and the opportunity we get to be part of something bigger than ourselves. 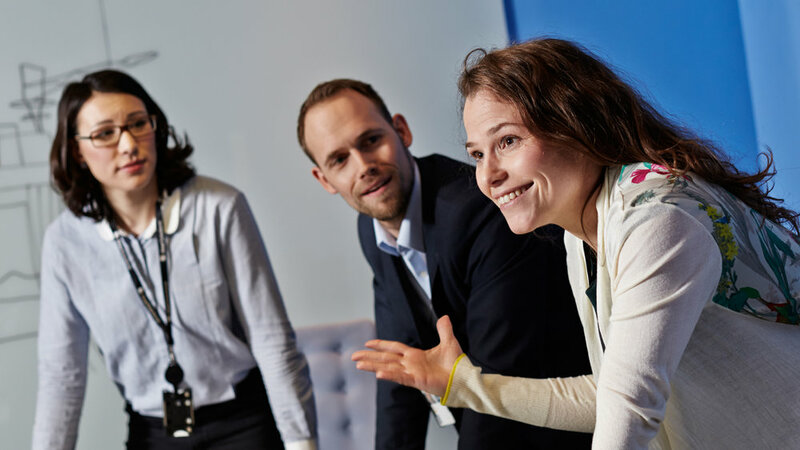 This sense of meaningfulness radiates into how we feel about our organisation and our teams — it gives us the drive to go that extra mile because the company’s success becomes deeply allied to our own. As leaders, we have a pivotal role to play in enabling and bring about the feeling of meaningfulness in our employees and their work. So, what can we do to give our people a sense of fulfilment in what they’re doing? A good starting point is to make sure we regularly help people to connect the contributions they are making to the collective goals and purposes of the team or business. By regularly reminding our employees that their work is meaningful and necessary to the team and our company we create a sense of relevance and significance. By helping our people understand the impact of their job — the difference they make — we can drive engagement and performance, connecting the dots between the why and what they do every day. In our last posts we’ve discussed how vital transparency and trust are to an organisation’s success. In the lead up to our next Breakfast of Changeevent this Thursday, this week we focus on the third, equally important ‘T’, without which the other two are impossible to achieve — truth. As leaders, the value we place on truth determines the culture of our organisations, permeating into how safe employees feel, how willing they are to be open and engage their true selves in a shared mission, and how successful our teams and organisations become. Paradoxically, in a supposed ‘post-truth’ era, amid a sea of spin and ‘fake’ news, being transparent has never been more important. We live in a time of ubiquitous connectivity, where social media and global activism - Wikileaks and whistleblowers - increasingly make hiding the truth, sweeping issues under the carpet, no longer a possibility. Just ask Volkswagen, or Patisserie Valerie. The impact of not being truthful, in terms of both reputation and the bottom line, is enormous. Most of us are willing to tolerate mistakes or accept when things go wrong - we recognise that we’re only human. But when leaders fail to engage in honest communication, when a disconnect emerges between word and action, this becomes a question of integrity — and the foundation of trust is shattered. We need to consider both sides of the truth equation: truth is not just about what we tell others, it’s also about what others feel they can tell us. Volkswagen is a great case in point. Former CEO Martin Winterkorn was a demanding boss who abhorred failure. Executives described his management style as authoritarian and aimed at fostering a climate of fear. This prevented them from speaking the truth, and when its technology failed to meet required emissions standards, rather than fix the issue, they covered it up. If we want to really evolve and grow, we must be willing to hear truth from our people. And the best way to do that? Lead by example. But it’s often easier said than done - businesses and leaders far and wide continue to struggle to develop a culture of truth, for all kinds of reasons. The final few tickets are still available for the breakfast on Thursday, where we will be exploring what holds us back, and how to build our reputation while being true to ourselves, our teams and our organisations. What's the Value of Coaching? We lead frenetic lives, with many of us not taking the time to reflect on how or why we’re doing what we do. We spend our entire lives living inside our own heads and this can sometimes lead to self-imposed limitations. Coaching provides the opportunity to take a step back and reflect, building greater self-awareness, and from there, the ability to shift our thinking, to adapt our behaviours. We’ve been working with a coachee recently who was being incredibly hard on herself, beating herself up for every perceived imperfection. From that position of judgement it was very hard for her to create movement - so our goal was to help her to develop a kinder mindset to enable her to tackle her challenges more proactively. At Agents of Change one of our mantras is to lead with curiosity over judgement. One benefit of this is increased kindness - to ourselves and to others. Coaching has helped her to become more curious and less self-deprecating. By adopting a more pragmatic approach, taking a moment to reflect at the end of each day, she now jots down what’s gone well and what hasn’t. This physical list has helped her to become more aware of the stuff that’s going well, and observe, rather than judge what’s not gone so well. This helps to create a greater sense of balance and control - and the opportunity to recalibrate her approach each day - what can she do differently tomorrow to generate more successes? Coaching provides the opportunity to deepen our understanding of our motivations and habits, and explore ways to create new ones. Coaching helps us to achieve our goals by breaking them down into manageable chunks and proactively working towards them. Our engagement with our roles, our teams and our families can be transformed through coaching - allowing us to contribute more effectively, to feel happier and more fulfilled in ourselves. We have a wide range of coaches and coaching packages available, get in touch if we can help you. 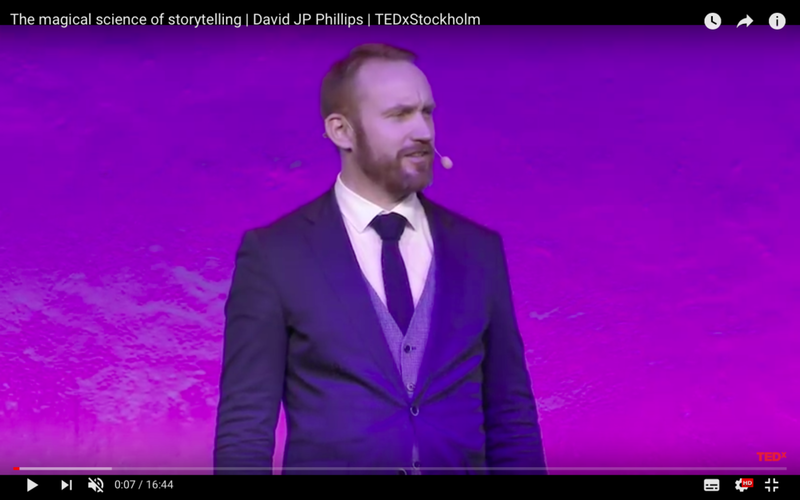 In his fascinating Ted talk, David Phillips explains the science behind the feelings we evoke when we communicate with others. When dopamine is released into our blood, it leads to greater focus, motivation, and improved memory. The effects of oxytocin make us more generous, trusting, and ready to bond. It makes us feel relaxed and more human as we bond to the storyteller. Finally, there are endorphins which we create by making people laugh. Endorphins make us feel more creative, relaxed, and focused. In our work lives, we can influence people better when we are working with positive emotion, so it’s useful to use storytelling to create the right response in people. What are you doing to feed the angel’s cocktail, and to mitigate the devil’s? I spent last weekend running a leadership retreat for a client in Budapest. Reflecting on the incredible progress this team made over two days reminded me of the benefits of taking teams offsite to talk about not just what we do but how we do it. While some teams have more work to do than others, most will benefit from a schedule that purposefully mixes time offsite with on-the-job integration. Build trust - People may work together for years but it sometimes takes an offsite retreat to establish deeper bonds and mutual understanding. Time spent together equals increased trust. People tend to reveal more of their true selves when they’re relieved from the day-to-day pressure of delivery - getting away from to-do lists helps your team relax, get to know one another, and connect in new ways. Create a unified team - An agenda with some flex in it allows issues to surface and be resolved, helping build buy in for strategic direction and a common approach. Teams learn about each others' strengths and explore ways to improve how to work together productively. Back at the office, you'll see quick results as your group works together toward a common goal. Hone individual strengths - Getting away from it all gives your team a chance to hone individual strengths. Through team building activities, people can learn about each others’ strengths, explore ways of building on these skills, as well as how to apply them to contribute to the goals of the team. Improve communication - How well you plan for and subsequently involve the wider team in your decision-making and retreat goals is proportional to how engaged they will be with them. When your team gets the perspective from being away from the office internal communication improves - most teams report improved communication as a result of their enriched relationships. One aspect of diversity and inclusion that’s not often discussed is how well organisations treat women returning after maternity leave, and the impact this can have on engagement. An article in HR magazine that caught our attention recently discusses how the attitudes organisations have towards maternity leave affects women when they return to work. Just like any of us, mothers returning to work need to feel a sense of belonging to their organisations. They want to feel as much a part of the organisational culture as they did before they left. But how a mothers' time away is viewed by line managers and the wider organisation can have a significant impact on engagement and performance. Subconscious bias can lead to women feeling stereotyped and judged on their return to work, with employers discussing availability issues and changes in priorities. Organisations who view maternity leave as a brief interlude rather than a major disruption are more likely to retain high-performing mothers. Importance of buddy schemes - new mothers felt more inspired to progress in their careers when they had role models they could look up to. Organisations need to be more inclusive of parents by introducing initiatives such as adoption leave, shared parental leave and flexible working. If we look at our own organisations, what is being done to ensure mothers can re-engage easily and give their best? The risk of losing key talent is too great to ignore. To explore more impacts of subconscious bias come to our next Breakfast of Change on Diversity and Inclusion - details below. Once a quarter we bring together a cross-section of people for a unique Breakfast of Change. Each event brings fresh thinking to a challenge holding individuals and organisations back. Using the power of the network to explore new possibilities, Breakfast of Change kickstarts the day and reinvigorates the agent of change in each of us. Join our next Breakfast of Change on 12th July, 8.30-10.45am in King's Cross, London. Click here for details and to reserve your spot.